Have you ever wanted to establish a new habit and then found that after a few days, weeks, or months you revert to your old ways? Everyone suffers from the same problem. 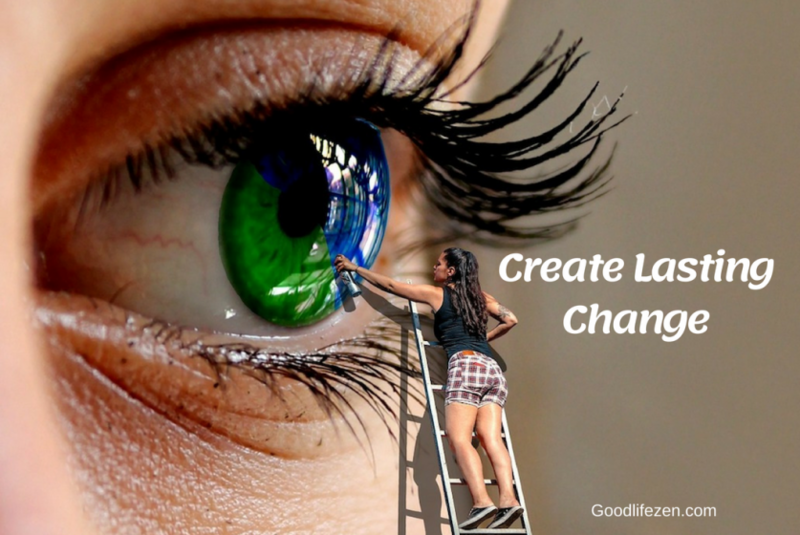 Creating lasting change is difficult, as I found when I started the GLZ Epic Fitness Challenge. 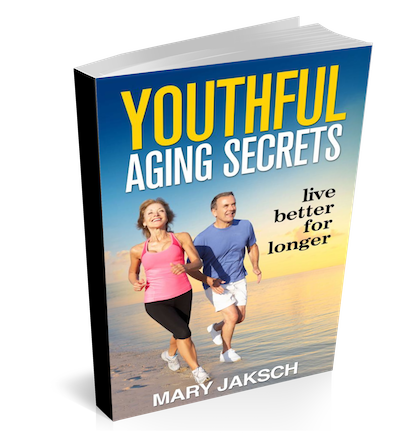 In the research I’m doing for my upcoming book about the secrets of youthful aging, I found the following, powerful strategy in an obscure book about the Telomere Effect . The science of behavior tells us that if you want to make a change, you need to know why you’re making a change. But for that change to last, you need more than knowledge. When it comes to change, our minds work irrationally. The donut or the piece of chocolate seems more attractive than a salad, and our resolution can weaken when it’s time to start exercising or meditating. If you want to make lasting changes, you need to line up your thoughts, your emotions, and your actions. To ensure the whole YOU is lined up for change, put yourself through the following powerful self-interview. The three critical questions you need to answer are about readiness, meaning, and confidence related to the change you want to make. Please use a notebook or digital file to record your answers. 1. What is the change you want to make? Choose a new habit you want to establish. State the change you desire as clearly as possible and write it down. If your score is at 6 or lower, you are not ready to make a change in the area you’ve chosen. It’s best to choose a different goal or find a smaller behavior change. One change leads to another, so it’s fine to start small. If your readiness is 7 or over, you are ready to tackle the change you want to make. Here is an example: If you want to wake earlier and target a waking time that’s one hour earlier than usual, you might not be ready to make the change. However, if you scale your goal down to getting up just 5 minutes earlier, you may be ready to go for this goal. Notice whether scaling down your goal works for you. For most people, choosing a smaller goal will boost readiness. However, there are also some people for whom choosing a smaller goal doesn’t work because it ‘doesn’t seem worth the effort’. In your role of an ‘interviewer’, notice and respect the thoughts and feelings that arise with each question. 3. How is This Change Meaningful for You? If we find deep meaning in a change, we are more likely to make it last. The key here is to choose intrinsic goals related to relationships, enjoyment, and meaning in life, instead of choosing external goals related to wealth, fame, or how others see us. Once you have a sense of the underlying motivation for change, make a mental snapshot of the answer. It’s best if you can find an image that represents your motivation. This visual image is a weapon to use when the going gets tough. Find a picture that you can use to remind you of your motivation. If you have photos that will work, print them out and tack them to the wall, or use them as a wallpaper on your phone. If you don’t have a fitting photo, take a look through magazines or search online for an image that expresses your fundamental motivation. Here is an example: Looking for ongoing incentive for writing the series of books on Youthful Aging, a picture of a book, or of people applauding would do nothing for me because this would be an image related to extrinsic motivation. However, a picture of mature people enjoying life would remind me that I’m on a mission to change people’s lives. That’s a strong motivator. 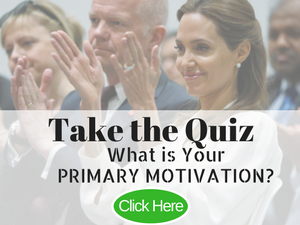 Find and record your strongest motivator before moving onto the next question. If you are at a 6 or lower, I suggest changing your goal to make it smaller and easier to achieve. If your score is over 6, think about what obstacles you might have to overcome to achieve the change you want to make. Make a realistic plan of how you could overcome these obstacles. Think of these obstacles like challenges. At this point, it’s useful to think of proud moments when you were able to overcome other challenges in your life. The question about being confident about making the change is crucial. The Positive Psychology movement calls this self-efficacy. Some psychologists even rate self-efficacy above talent in a recipe for success. That’s why we need to pay attention to our confidence when setting goals to make sure our efficacy beliefs are in line with the changes we want to make. The confidence about whether you can make the change determines whether you will even try the new behavior in the first place and whether you will persist, once you hit an obstacle. Once you’ve completed the 4 self-interview questions, review your results. You may want to go through the process again with a smaller or entirely different change you want to achieve. Your next step is to schedule your new habit and include it in your calendar. When the time for the activity comes, don’t try to make a decision; just do it! After all, making decisions is exhausting. Start with the easiest, possible step in your sequence of getting ready for the activity. That might be something simple like changing your clothes to get ready for the activity. For example, when I get ready for a karate class, I set an alert to start my sequence. The sequence starts with ironing my gi (karate uniform) and then tying on my black belt. The next step is to grab my karate bag. Then I get into the car. Once I’m through the door of the karate dojo, I’m ready for the actual training. In the same way, you can create your own ‘getting ready’ sequence. When you are in your ‘getting-ready’ sequence, just focus on the next step, not on the activity ahead. Each time you take action to make your new habit a reality, celebrate! Give yourself a high-five or do a little victory dance. 2. Establish your readiness to make the change on a scale from 1 to 10. It should be 7 or over, otherwise, choose an easier change. 3. Find your meaning behind the change and find an image that encapsulates your fundamental motivation for the change. 4. Check your confidence for effecting the change on a scale from 1 to 10. 5. Schedule the new habit. If you go through the self-interview, you’ll be able to create lasting change. Your life is like an artwork; make it beautiful. Please share this post with your friends on social media.